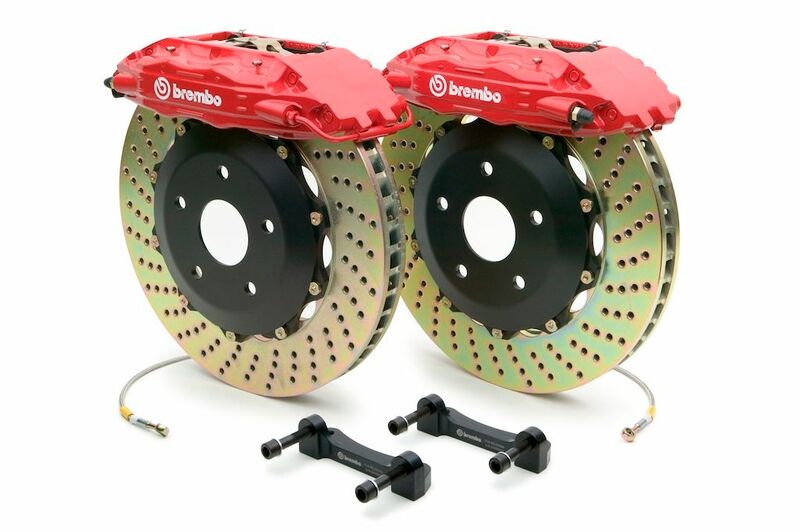 The ultimate in braking for the Supra MK4 Platform. Hands down the BADDEST kits available. With a whopping 14.9 inch front 2 piece floating rotor you might be mistaken for a UFO with these saucers!! 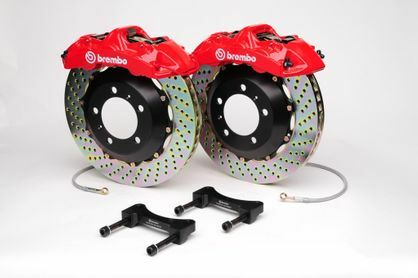 Unparalleled braking performance only Brembo can provide. As of this release we have sold 3 plus kits, every customer has been blown away with the size, performance and the looks of this kit. If you want the matching 4 piston rear 380mm kit as well it is selectable in our drop down menu, as well as color options, and rotor Drilling/Slotting for the kit. Unbeatable performance and pricing only SupraStore can offer! !